We are based in Melbourne, Australia, but also work in other states and territories and overseas. Contact us by phone: +61 3 9598 0635 or email. 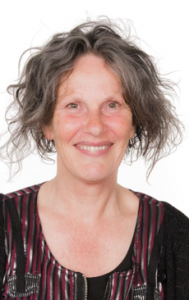 Kim Dunphy (BA, Grad Dip Movement Dance, M.Ed, PhD, DTAA Prof. DMT) is a Mackenzie Post-Doctoral Research Fellow at the Creative Arts Therapies Research Unit at the University of Melbourne, Australia, where she is developing a framework of outcomes for dance movement therapy. Her research and practice interests focus on understanding the nature of therapeutic or social change through the arts. Her publications on dance movement therapy include Freedom to Move: Movement and Dance for People with Intellectual Disabilities (with Jenny Scott, Elsevier 2003); chapters in books including the Handbook of Dance and the Quality of Life (Springer, 2018), Oxford Handbook of Dance and Wellbeing (OUP, 2017), Counselling and Psychotherapy Works: Contributions from the Field (PACFA, 2015), Dance Therapy Collections 1-4 (DTAA, 1997-2017), and journals The Arts in Psychotherapy, American Journal of Dance Therapy, Moving On. 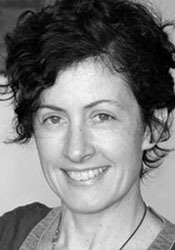 Kim is the President of the Dance Movement Therapy Association of Australasia; Chair of the Research Committee, Psychotherapy and Counselling Federation of Australia; Inaugural Convenor of the Steering Group of the International Network for Dance Movement Therapy; and an Honorary Life Member of Ausdance Victoria. Sue Mullane (B. Ed, Grad Dip Movement Dance, M. Ed. (Dance), DTAA Prof. DMT)) is an experienced special educator and dance movement therapist. She has worked with a focus on disability and trauma with adults and children in a variety of settings in NSW and Victoria. Her five-year collaboration with Sarah McGregor, developing group movement based programs for women at the South Eastern Centre Against Sexual Assault (SECASA), Melbourne, Australia, was documented in her M. Ed research project. Her professional interests include articulating the contribution embodied learning can make to the positive growth and development of children with disability. She has led workshops and made presentations on this topic for tertiary students, teachers and dance movement therapists through the Dance Movement Therapy Associations of Australia and America; Department of Education and Early Childhood; RMIT; and La Trobe University. 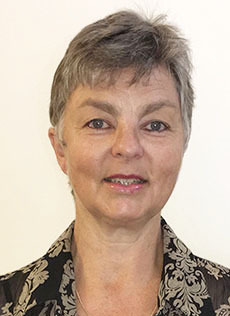 Sue has lectured in dance movement therapy at Phoenix Institute, Melbourne, and is currently completing her PhD on embodied learning at Deakin University, Australia. Contact Sue. Marita Jacobsson (B. Nursing (Hons), Grad. Dip. and Master Experiential & Creative Arts Therapy, Australian Creative Arts Therapies Association (Professional Member) is a former Registered Nurse and presently a creative arts therapist. She has nursed and worked creatively with children, young people and adults and currently works therapeutically with adults with disabilities and the elderly. In these sessions, she offers the creative arts, with a focus on dance as the main modality, exploring improvised, authentic and creative movement possibilities. Her Masters thesis research was undertaken at a large special developmental school in Melbourne, where she worked with Sue Mullane. Her professional interests also include experiential and creative reflective arts practice for individuals and groups seeking professional growth, with sessions located in natural settings. Contact Marita.